SPRING, IN THE old Germanic world, was a combination of the physically grueling festivals of Lent and Easter underlaid with the pagan spring equinox traditions of Ostara, with its eggs and rabbits and celebration of fertility. And the “bock,” in all its malty, crisp, bronzy glory, is appropriate as the season’s drink. The bock is an old beer, a medieval German beer, in fact, developed in the 14th century, according to most historians (although some claim as early as the 13th or as late as the 16th, so those historians aren’t getting any points for accuracy). 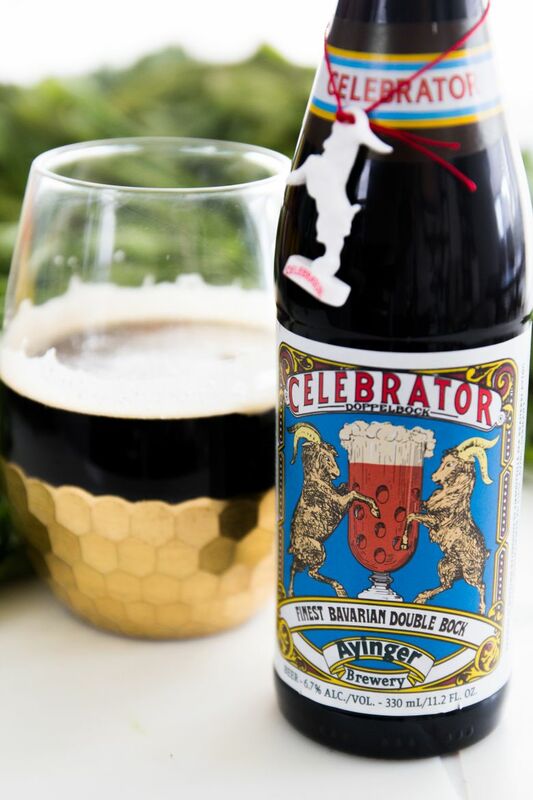 A good bock is like a sippable fairy tale: rich and smooth but never too sweet, evoking dark Grimm forests uncurling into a shudderingly fecund spring. Bocks are generally thought to be named after the German town of Einbeck, where, one late autumn in a world lit only by fire, some bestockinged brewer first decided to roast barley to a deep brown and put it in his frigid beer cellar until the birds came back from the south. These beers are malty and full-bodied, like drinkable maple syrup without the sugar — heavy-seeming beers with a surprisingly light flavor, usually just barely hopped (i.e., not bitter). They taste like lagers because they are produced like lagers: autumn’s grain bounty turned to a mash and then fermented in cold temperatures for months by hardy, cold-loving yeasts that cozily ride out the frigid winter season while mellowing out the flavor and smoothing the toasted edges of all that dark-roasted grain. This style of beer is traditionally consumed in spring, often brewed for special occasions (like Christmas and Easter, and sometimes people’s weddings), and there are many types of bocks, all of them fairly high ABV (alcohol by volume). The “maibock” or “may bock” (also called the “helles” or “heller” bock) is usually about 6.5 to 8 ABV. Doppelbocks are superstrong bocks with even more maltiness, and AVB in the 9 to 12 range (bars often serve them in smaller glasses). Fruity “Eisbocks” are made stronger still by freezing part of the water of a Doppelbock to make a more concentrated brew. In Bavaria, bock beers were produced to coincide with the Lenten fasting season of monks who, though they might not eat food while fasting, apparently still can consume beer every day. 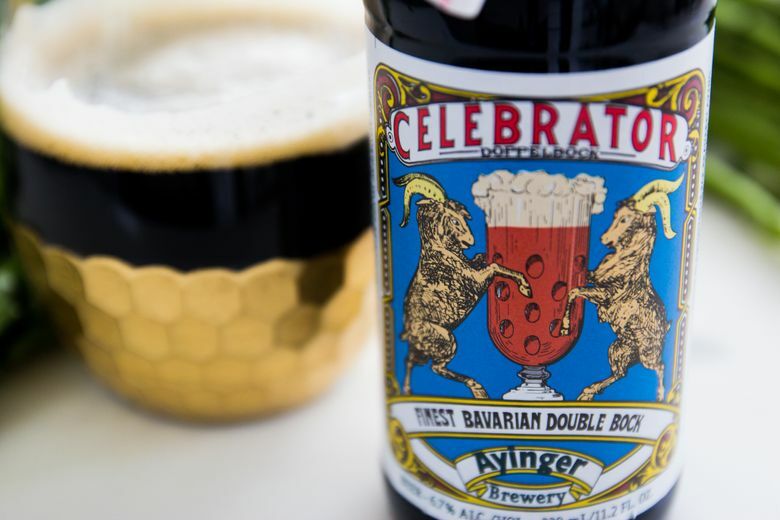 It is thought that the local Bavarian accent changed “Einbeck” to “ein Bock,” which in German means “billy goat”; hence the frequent presence of goats on the labels. This is too perfect; the loin-frenzying effect of warm weather combined with the high ABV makes the image of a randy little goat, pun though it might be, the obvious choice for a mascot. This is the beer to clutch in your hand as you — blushing with spring fever — cast your eyes around the bar, or concert, or outdoor boating/bicycling event, for someone to watch Netflix with. Local Washington state bocks include Elysian Brewing’s Ambrosia Maibock and Pandora’s Bock (ha-ha!). The ever-overachieving Chuckanut Brewery in Bellingham has both a bock and a doppelbock in bottles that have a feisty goat on the label, its long horns prominent and proud.